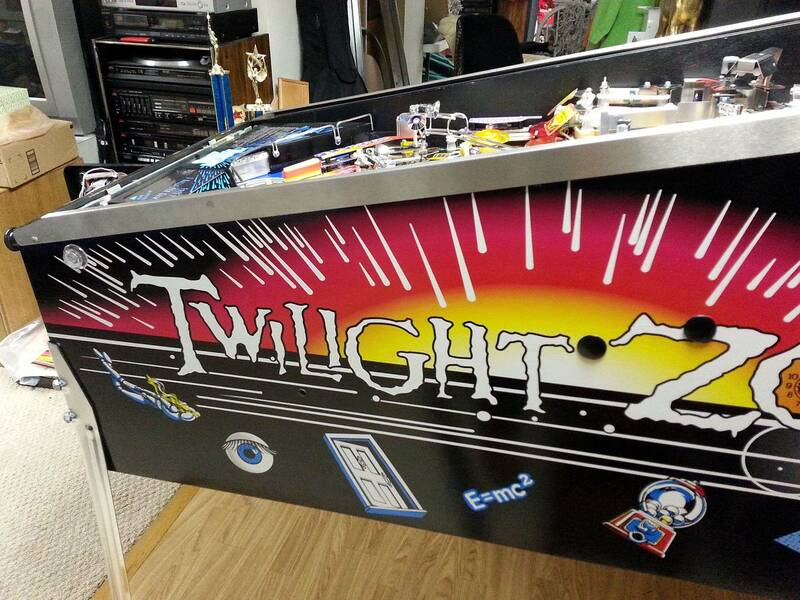 Twilight Zone Pinball Machine with TV MINT! 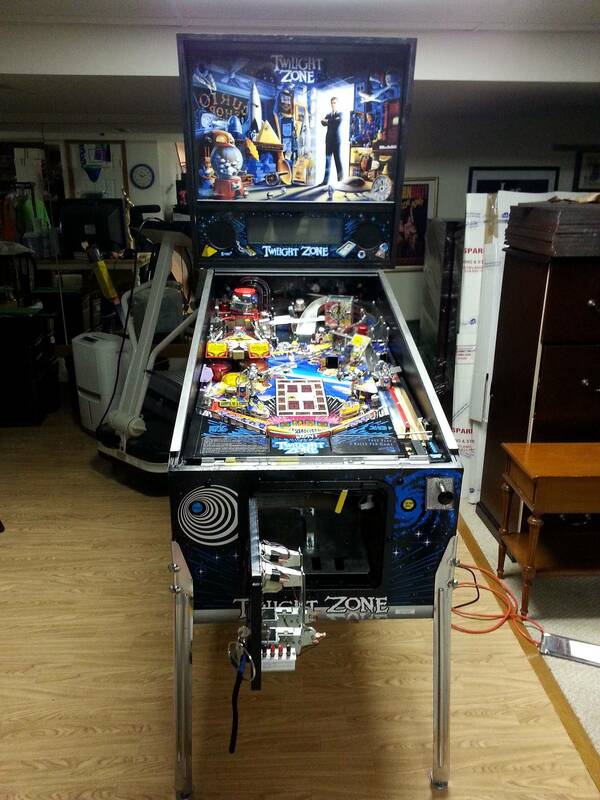 If you want a perfectly working brand new looking mint TZ pinball machine then this one is for you. All original cabinet artwork that looks NEW with no dings or scratches. It has a little tv under the glass that I just installed. It plays the best of original episodes and is capable of storing all 156 episodes. 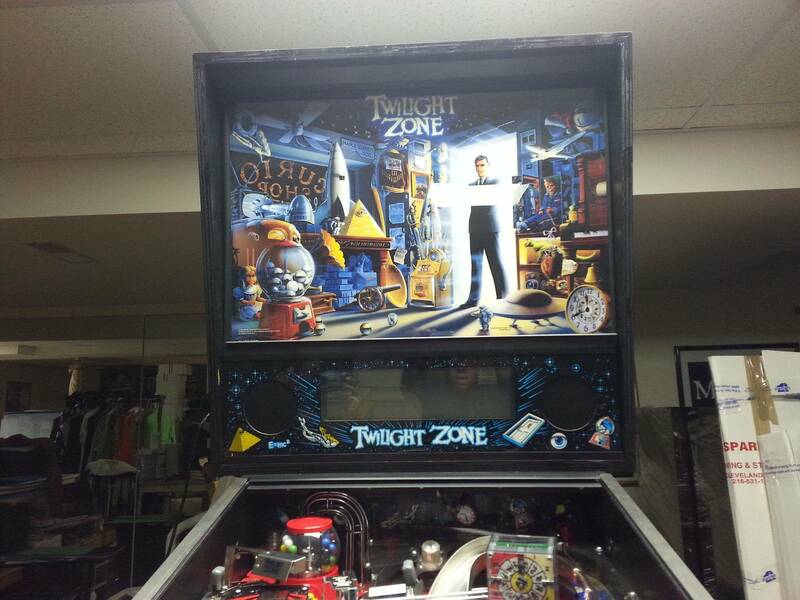 Twilight Zone pinball machine for sale! See it in action at the following link. 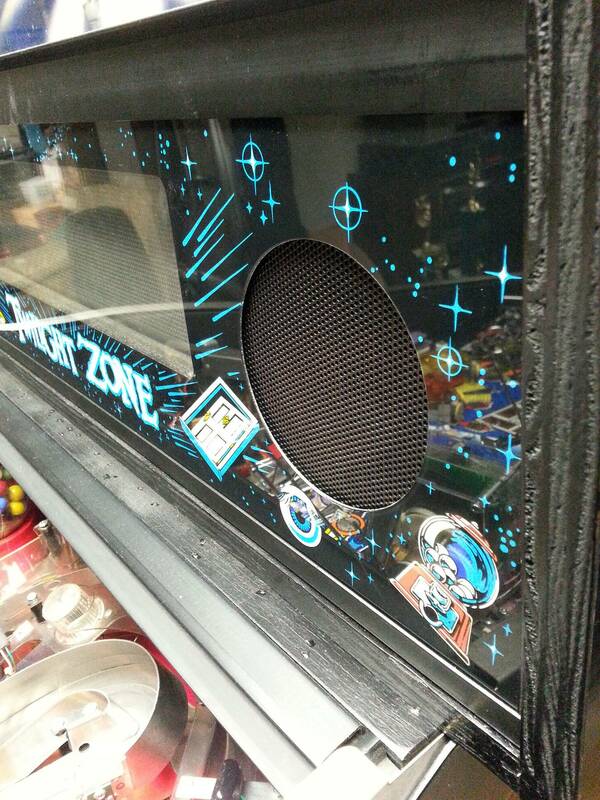 I asked my technician if he could find a Twilight Zone that was in new like condition. He produced this gem for $9,300 plus I paid an additional $200. for the tv set that plays original episodes. Well worth the perfection. Now YOU can get MINT for a better deal. It's been in my house for only one year. I just added the little tv set and it not in my movie of it on youtube. Everything has worked perfectly in the 150 plays since I bought it. 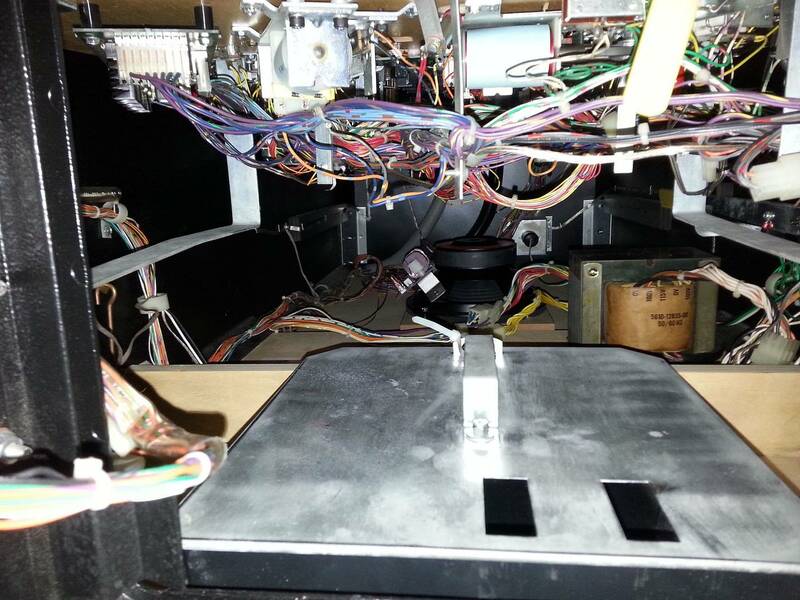 This machine is one of the most favorites among collectors because it has an exciting wide body playing field constructed by Bally designer Pat Lawlor. 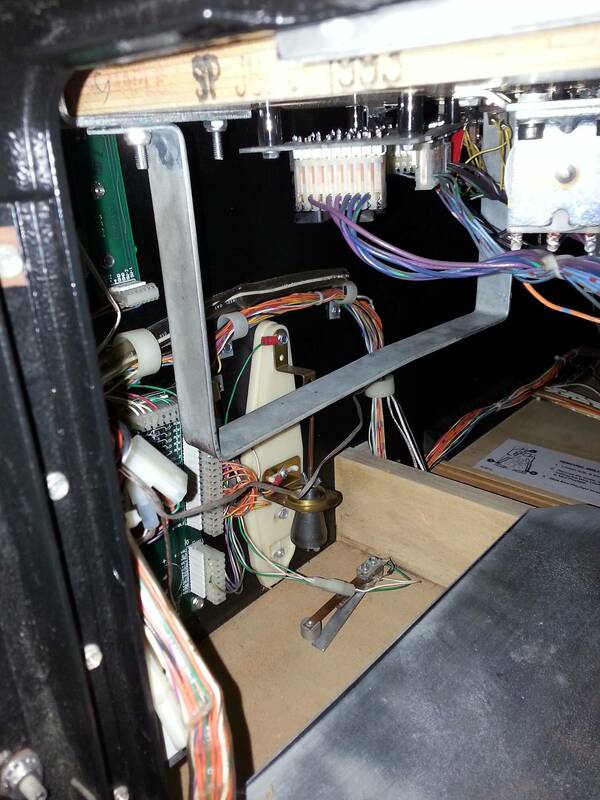 After designing The Adams Family machine that sold so successfully, Lawlor's next design (over which he was given complete creative control) was another licensed theme based on a popular television show: The Twilight Zone (TZ). 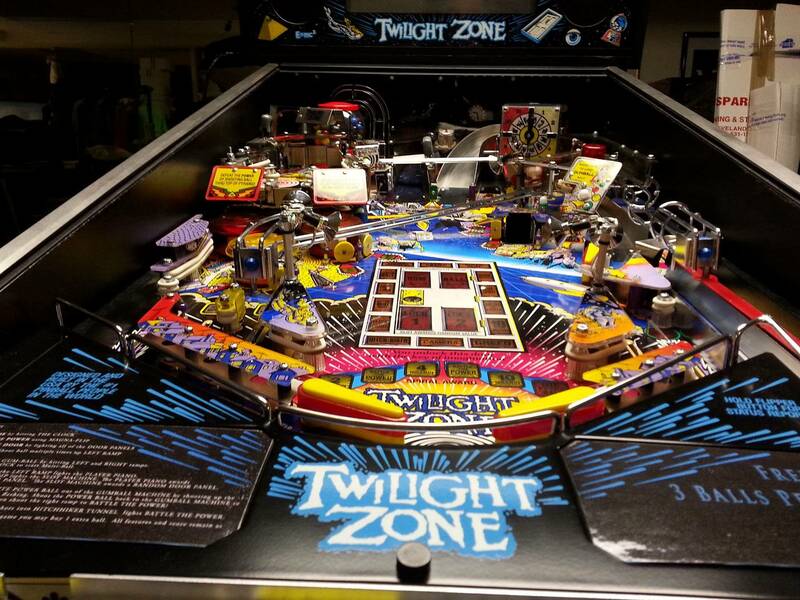 While Twilight Zone never sold as many units as The Addams Family (although it did sell over 15,000 units,) it is one of the more popular machines amongst pinball enthusiasts, due in part to its complicated ruleset. GORGEOUS cabinet and original artwork. Polished chrome legs with new bolts and levelers! 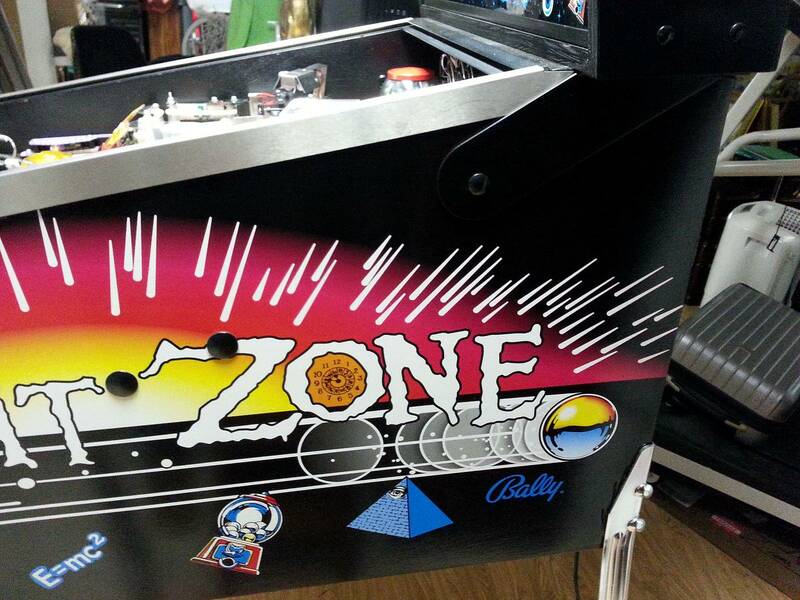 This playfield is MEGA-FAST and ready for action! 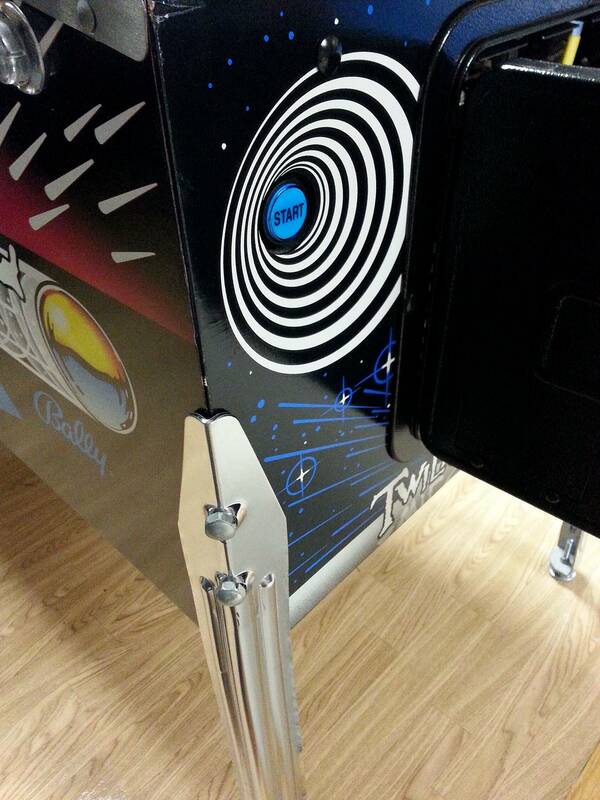 Playfield lighting has been upgraded with an L.E.D. package! 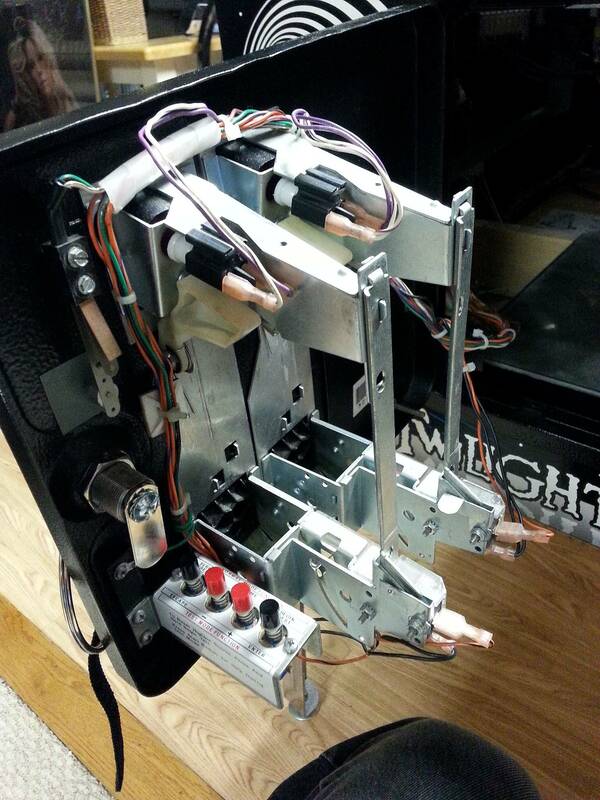 BRAND NEW flipper mechanicals and flipper bats! Custom color instruction cards! 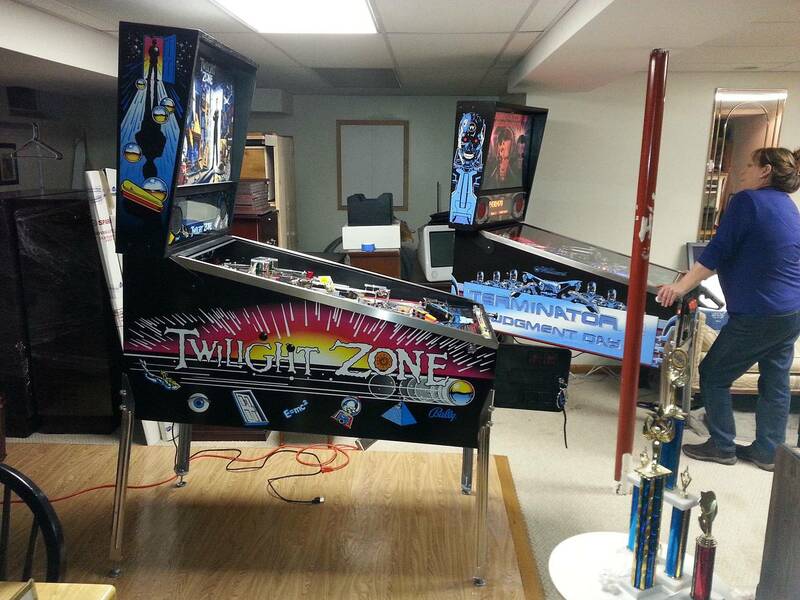 This playfield shines like new and is a true BLAST! An owners manual is included! 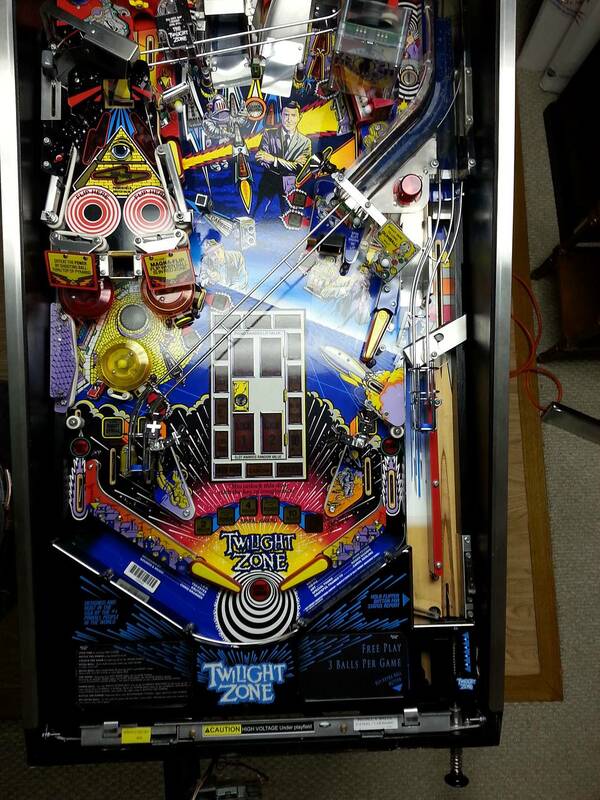 This game has been professionally serviced one year ago and sold to me by Ron at the pinball clinic .com. Check out his site! These are wwwoooddd's all time market stats. Are you sure it wasn't redecaled? 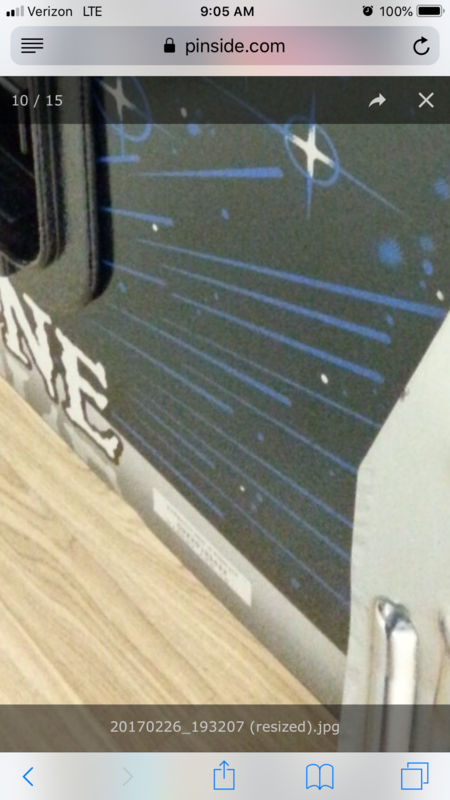 Somethings not right with the right backbox decal. Cabinet has to have been redone. Inside cab is painted black all the way to the bottom - definitely not original. 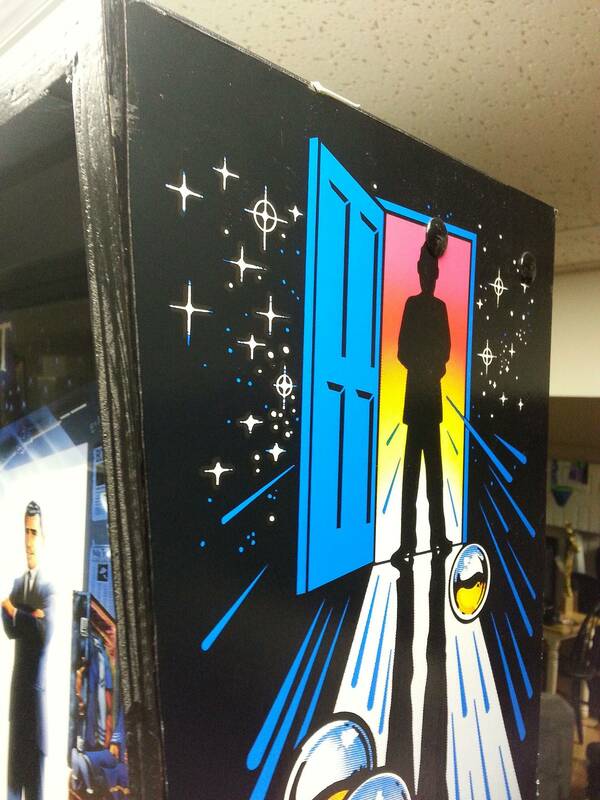 Back of backbox repainted also. Wrinkling of the decal near the back leg on the right near the Bally logo. ...printed from Jim Bob’s scanner last year. The TZ horizon color space is way overbroad. Did not look like this original. It's like someone intentionally spray painted over fade. Sounds like you’ve got a great tech to find you such a gem for $9300. I don’t know why somebody would paint the inside of a cab and not do decals. If decals were original and in great shape, I’d say leave the paint alone in the cab. After looking at the sliders on the back of cab, they have definitely been replaced. 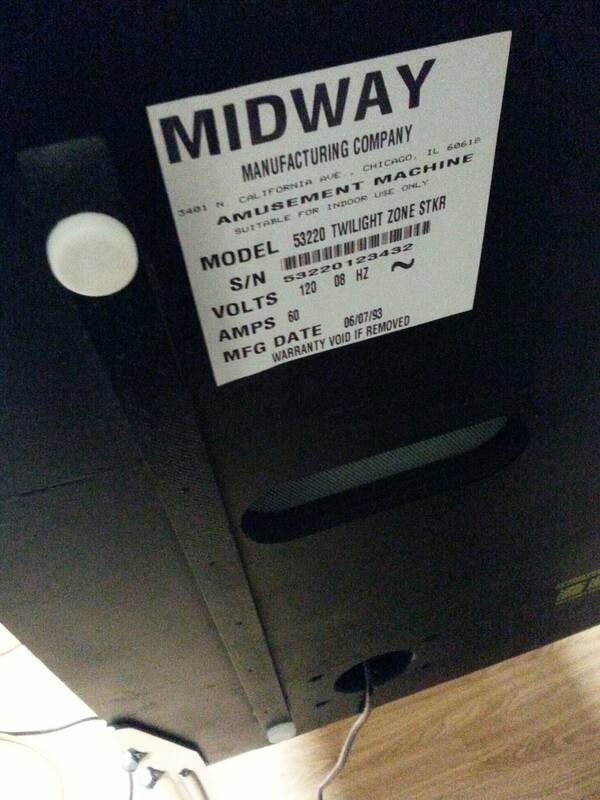 Also, looks as if somebody either left the front decal alone or went out of their way to put the serial tag on. 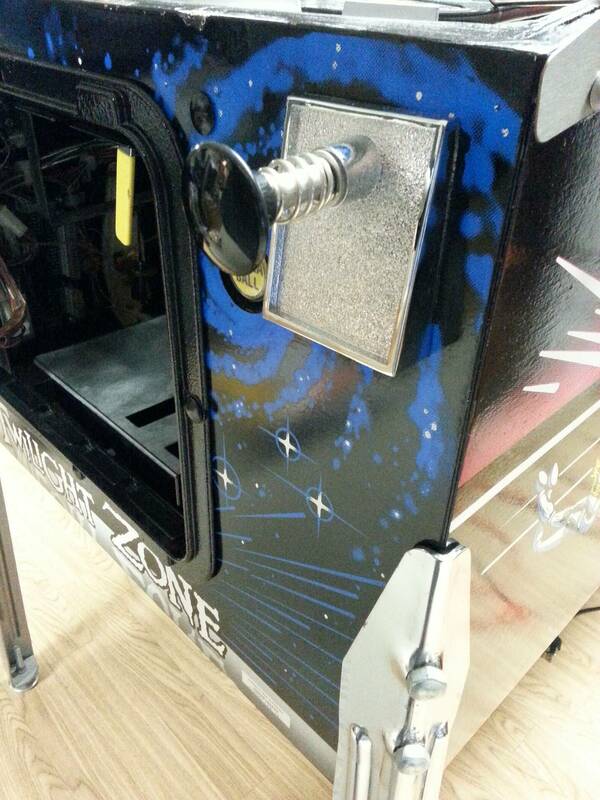 This also appears to be a sega/DE/stern coin door. This reads more like an ad from a pinball reseller than it does from a collector to me. Or maybe it's just the lack of coffee in me.